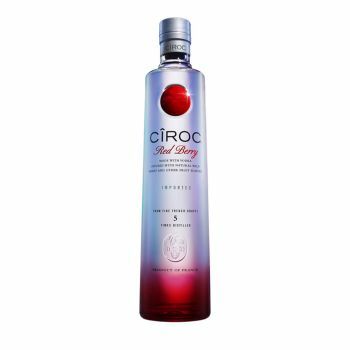 Cîroc Red Berry is one of the first two flavor-infused varietals from the makers of Cîroc Ultra-Premium Vodka. Distilled five times to ensure high quality, the spirit is then blended with natural raspberry and strawberry flavors. The resulting balance of luscious, berry-infused flavor is perfectly highlighted in the Cîroc Cosmopolitan Martini.